Salman Khan and Katrina Kaif’s first look pictures from Tiger Zinda Hai are here and we cannot keep calm! Katrina and Salman are shooting for Tiger Zinda Hai in the picturesque locales of Austria. Salman Khan and Katrina Kaif are coming together on the big screen after a really long gap. And now that they have started shooting for Tiger Zinda Hai, we just cannot wait but for the film to hit the movie screens ASAP! The first pictures of Salman and Katrina from the sets of Tiger Zinda Hai are here and it has got us even more impatient. 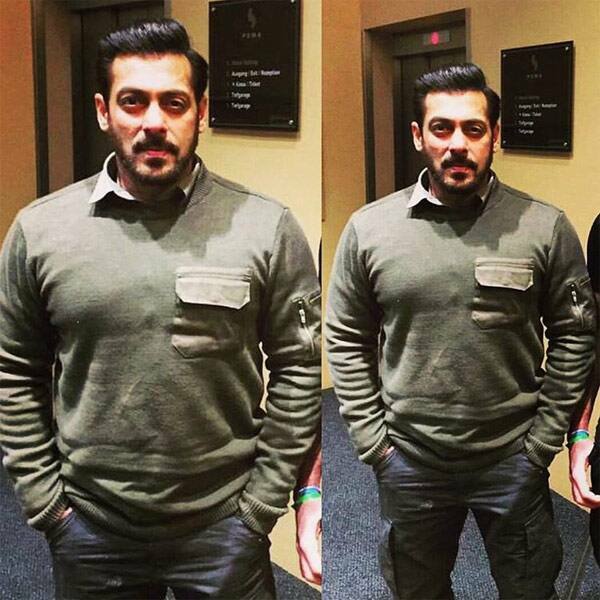 Bhai looks really handsome sporting a new hairstyle of TZH and we must admit.. we are quite liking it.. what about you guys? Also, just look at Katrina.. she looks breathtakingly beautiful! The actress, who keeps treating us with some wonderful pictures on facebook, shared this one staright from the sets of the film. Check out Salman and Katrina’s first look pictures from Tiger Zinda Hai below. Too sad that the film is releasing in December 2017.. How we wished it released earlier than that! For now we have been getting to see Salman and Katrina’s individual pics from the sets. I am sure that when they come together for a selfie, the picture will definitely break the internet..no? Afterall, we have been waiting for so long to see the hot onscreen pair together! For those who don’t know, Tiger Zinda Hai is being shot in the picturesque locales of Austria. The team is camping in frigid zones with temperatures as low as -20° celsius. And despite the inclement weather, the team just wrapped their first song. Says a source from the sets, “TZH is currently getting shot in scenic locales of Tyrol. The crew has wrapped up shooting in a historic, quaint and visually stunning town for a song with Salman and Katrina. Aptly called the Golden Roof, this town is a favourite of epic Hollywood productions and has featured in Bond films — Spectra and Quantum of Solace.” The song titled Dil Diyan Gallan is a romantic ballad featuring the lead pair and has been choreographed by Vaibhavi Merchant.